Do you have a well arranged garden and the last thing you want is unconventional art in a form of holes in the ground that doesn’t suit your taste? Has your garden and its colorful content have already been affected by the paw of your four-legged friend? No matter the background, if you’d like to find out how to prevent your dog from digging in your realm, this article is dedicated to you. First off, know that dogs dig for a couple of reasons. And this might not be a harmful process. Yet, it can make your garden appear less attractive in terms of setting and beauty. In short, it can be really messy to have a dog dig around your garden. The archaeologist buds have lots of reasons as to why they dig. At times they will bury a bone after digging the hole, at times it is just to pass time… All the reasons have specified solutions. If your dog is a fanatic digger, it is wise to provide a digging spot as this assists to redirecting the habit. Rather than making the dog change the habit itself, you can redirect the habit to an appropriate point in the garden. It is possible to make a segment on existing area or purchase a sandpit to be used by the dog. In fact, sand is cleaner and better than soil for a dog to dig in as it does not consist of fungal factors or molds. Don’t underestimate the importance of how attractive the spot looks to the dog; You might even need to initiate the digging activity for your dear companion by yourself so that it knows how this works. At least first few times around, you should also praise your dog if it digs on the right spot. The majority of dogs will love to follow as you are gardening, and thus providing a spot in which the dog can dig means you’re kind of actually working together. HM tip: If the re-directing takes quite some effort, you can also try hiding some of the dog’s toys or treats in the desired spot. For the protection of plant root system, one can choose to have large pebbles around the plant base. Also, try avoiding attractive compost in the garden. How to keep the dog from digging under fence involves making underground pavers that prevent the dog from making tunnels. 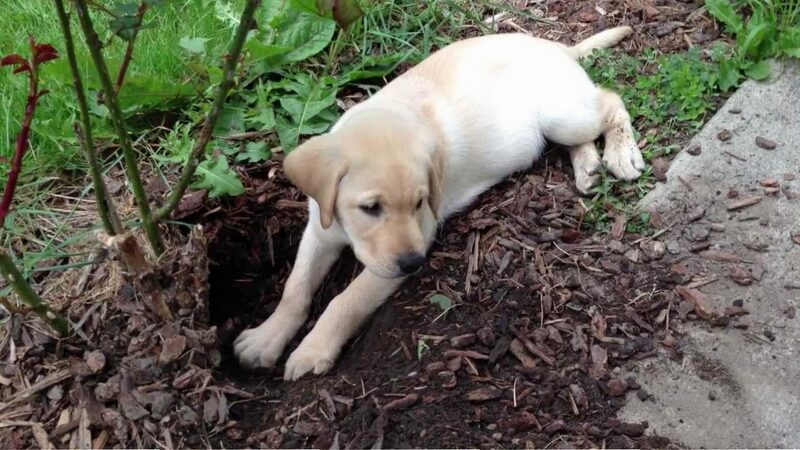 Most dogs do dig on fresh soils as such; Therefore, avoid placing new soils in areas where the dog can dig until you have a selected digging spot for your fella (and the dog has embraced it). If you have more than one dog, you might need to think further about fencing the garden to ensure safe garden boundaries so that the dogs wouldn’t access your plants and flowers. One option is specifically for this purpose made fence. The initial step in making a garden fence is to find out the height required. 2m is a solid height as this enhances good privacy and dogs cannot access the garden area. Secondly, you need to make a decision on the material you will use to surround your fence with. There are various options such as wire, wood or hedges. HM tip: It is also a smart choice to purchase some dog toys and chews, especially, interactive dog toys, to keep your companion occupied and prevent from digging. The love of a pet does not call for formal punishment to stop a certain kind of habit. It is much better to redirect such habits and reward for appropriate behavior. If you punish your companion, this can backfire. One will not be happy being with a fearful dog because most times these dogs do not even know what they are being punished for. It is not the best choice to punish a dog for any kind of bad deed – one must know how to correct a dog instead. In the correction, you need to command the dog on what to do and let him know what an approved deed is. A good example is a dog that has jumped over the garden area. You get home only to find your four-legged fella is in the wrong place. This might be too late to teach the dog on what it has already done, therefore, consider this a past deed. If you end up punishing a dog for past deed then it is very likely to confuse your companion even more. A dog must be lectured at the very time of the deed so that it can get the logic of it. A dog can premeditate useful reasoning and situations, and this will not hurt the trust between the two of you. Most dogs follow the ancestral urge that began thousands of years ago. The roaming dogs had no idea where they would get their next meal while they hunt and therefore all the leftovers have to be hidden underground to keep food safe from scavengers. Whenever the dogs were hungry, they would get to the secret location and take the leftovers to eat. If the bones are buried underground, they are protected from direct sunlight and remain fresh for longer periods. If you are generous enough, you will ensure that the dog also has toys so that it may place them in a safe place and retrieve them later. If the dog digs holes in the garden to hide bones or toys, it considers this as a savings account for later use. However, most of the times, exhumed bones are sickening; Therefore, consider giving the dog non-perishable items that it can play with. If you provide bones during breakfast when your companion’s hungry, you can be rather sure your dog will eat it rather than bury it. Ensure that the bones are raw (if you choose chicken necks, a supervision is recommended due to its size – the dog can try to swallow them whole). If you provide the dog with bones, check its teeth to know whether they are damaged or not (should do that anyway). 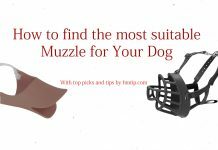 With this, you will also find out whether the dog is properly chewing the bones. Some dogs dig big holes in order to lie in them to keep cool. You need to know how to make a dog bed in order to ensure they are comfortable and cool. HM tip: If possible, have a dog place in a cooler area without direct sunlight. A trampoline (raised) dog bed is a great choice due to the resistance of fleas and termites since it allows air circulation even on hot days. 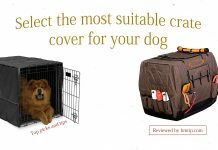 Ensure that the dog cozy place contains no carpets on the floor area and the dog’s lounge is cleaned and well maintained to reduce allergies, attacks by flies and termites. It is not good to have the dog lie in bulky blankets infested with creepy crawlies. Most dogs enjoy sunbathing but also need to cool down in a spot and relax. For prolonged sun exposure, it might lead to dog fatigue and cause sunburn (please also bear in mind, while travelling with dog by car, keep at least a small gap in the window for fresh air – this becomes utterly crucial when dog is left alone in the car; keep away from direct sunlight on hotter days as dogs are endangered to same undesirable consequences). It is not a good choice to get sunscreen for the dog but one may only consider providing a cool shelter. It is nice to have a cool shade under a tree (even better with an appropriate dog bed); An alternative idea is to have a canopy or open tent area where the dog can relax. Keep dog from digging, especially when bored, by taking it out for a walk whenever you are free – this is one way to keep your dog happy by stimulating it both mentally and physically. You may also consider conducting dog training sessions, take it with you when getting to the shop, etc. To keep your companion busy while you’re absent, get different dog toys. Most dogs are attracted to shiny objects, including a watch or jewelry item. Such items might disappear from the dashboard and end up in the buried places, sometimes also under dog’s cushion or inside the laundry bucket – dogs that grab and hide items might be considered lonely or are bored, and they will do such habits to seek your attention. It’s a wonderful idea to run with your dog – a great form of exercise. A dog is a four-legged athlete who will enjoy outdoor events that will build up its muscles and improve on stamina. Most veterinarians agree with the fact that exercising with the dog is one way of how to keep dogs from digging. It is possible to teach the dog new traits such as greeting and playing with its buddies. If your dog is a tracking breed, then consider competition events for your fella. Before the competition, you can have the scent trails laid down before competing time schedule. As the dog owner, you need to encourage the dog to find the hidden object at the end of a trail. How to stop dogs from digging may include a game for fetch as this will provide daily dose of the necessary exercise if done properly. A place to have such an exercise is in a closed backyard, for instance. It is possible to successfully discourage your dog from bad digging habits in a polite manner. Here are some tactics that might look strange but have proven to work in many cases. Be innovative and consider sprinklers with built-in motion sensors that also have large noise whenever a dog wants to dig the area. Guard the place by having citrus peels laid on the area as most dogs dislike the peeled lemon and orange smell – conduct a simple test by bringing a peeled orange on the dog’s nose. If the dog backs off, this is a good deal. Probably the craziest of these ideas, and not our first recommendation, but has proven to work, is to get an inflated balloon and place it in the dug up hole and cover it up with sand. The dog will get an unpleasant surprise when the balloon pops up and this will take all the pleasure to dig away without actually harming the dog.